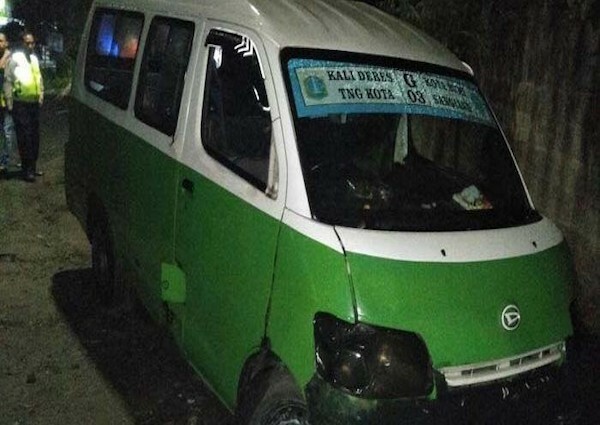 A public minivan driver was found dead in Curug, Tangerang, on Saturday. The police suspected that it was the cause of overconsumption of durian. South Tangerang Police criminal investigation unit head Adj. Comr. Alexander Yuriko told kompas.com on Sunday that driver Adie, 53, had high blood pressure and had eaten a large quantity of durian on Friday night before he died. “The victim is thought to have died because of high blood pressure and having eaten durian, which caused his blood vessels to rupture and his nose to bleed,” Alex said on Sunday. The victim was found inside the minivan by his friends, who had not seen him since Saturday morning. “From the result of our investigation, there were no signs of physical abuse. It was from his family members and witnesses [that we learned] the victim had high blood pressure,” Alex said. University of Indonesia’s nutrition specialist Marya W. Haryono said as quoted by Antara that research on healthy people showed that consuming 500 grams of durian could increase blood pressure. She said although medical science needed more research to confirm the connection and although durian had good fatty acids, it was also relatively high in potassium, which could lead to high blood pressure.